All posts by Michael R.
What is the Best Way to Serve God in Truth? December 7, 2018 Blogserve god, serve himMichael R.
“Can a man be profitable to God, however, he that is wise may be profitable to himself? Is it any pleasure to the Almighty that you are righteous? Or is it gain to Him which you make your ways blameless?” Job 22:2-3. This allows us to know that God does not need us, on the contrary, we want Him. He is not influenced by our wickedness or by our righteousness. These can only impact individuals, our fellow men. If God gives us His orders, we could say we serve Him when we keep them. But He hasn’t given us His commandments for His own sake so that we may be of profit to Him by keeping them. He’s given us His commandments for our sake, to be able to give us wisdom, so we could be happy. 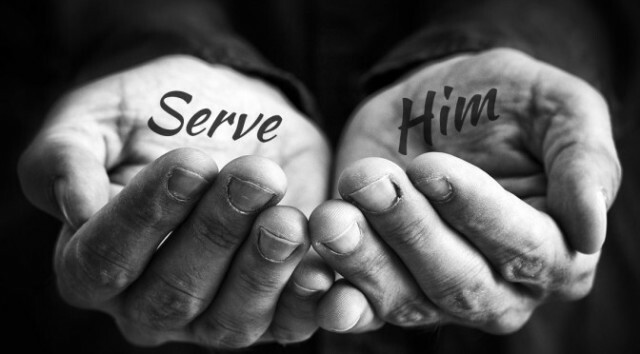 There is only one way we can serve God, which is by living and serving in this manner that God receives the glory. Then we’re honest; we commit unrighteousness. “He who speaks from himself seeks his own glory; he who seeks the glory of the One who sent Him is true, and no unrighteousness is in Him.” John 7:18. You’re unrighteous in case you say,”Lord, Lord!” And seek honor for yourself. Then it will not help you’ve done many wonderful things in Jesus’ name; you have functioned, not Jesus. Jesus has stated this to us with all clarity: “Many will say to Me in that day,’Lord, Lord, have we not prophesied in Your name, cast out demons in Your name, and done many wonders in Your name?’ And then I shall confess to them,’I never knew you; depart from me, you who practice lawlessness! If individuals seek admiration, it doesn’t matter what they accomplish and forfeit. Whether they do it to spread the gospel or to save soulsthey serve themselves should they search their own honor by performing it. Then they don’t own a sincere care. Paul had obtained the apostleship to work the life span of the faith among all countries to the glory of Jesus Christ. (Romans 1:4-5) When he had worked for his own honor, he would not have been loyal. He’d have been unrighteous. Jesus is an instance of seeking God’s honor, just as He is in everything else. His only idea was to glorify His Father. In the hour of tribulationTribulations or trials refer to any event or situation that comes your way that tempts you to sin; that provides a chance for sinful thoughts and temptations to rise up in you. The tribulation or trial arises when your mind to serve God struggles against your lusts to sin. Additionally, it often describes difficult situations that test your ability to… More His prayer was his Father’s name might be glorified, not that He might steer clear of the circumstance. “Now My soul is troubled, and what shall I say? ‘Father, save Me from this hour’? However, for this purpose, I came to the hour. Father, glorify Your name.” John 12:27-28. If this is our prayer at the hour of tribulation, the tribulation are also glorious for all of us. When Jesus was going to describe His work on earth, He explained it with these words: “I have glorified You on the earth. I have finished the work which You have given Me to do” John 17:4. We’re serving God when we do the exact same in anything we do.